The wedding day is the most important day of a bride’s life. From the fragrant bouquets, to the veil and the dress, there’s so much to plan for such a big day. Soon she will be glowing luminously in white, her betrothed is coming; she’s now ready to become a wife. The big day is fast approaching, be sure to save the date, the festivities are about to begin. This is the gala of a lifetime; make sure you plan to attend! You don’t need a ticket or advance reservations, all are invited to this great wedding celebration. The guest list is not limited to the capacity of space, there are no such limitations here. All are invited to this marriage jubilee; the only restriction is merely within yourself. Will you attend? The answer is simply, yes or no. This is the most magnificent marriage and wedding reception. Nothing can be compared to it; it’s simply out of this world. To declare it’s fabulous would certainly be an understatement. This will be the event of all time. The awesome sights and the thundering resonance of the mass choirs singing, declare sheer flawlessness, so alluring and dazzling. Be assured that your eye has not seen, nor your ear heard anything like this before. This display of love is beyond dimension, faultless nuptials; proposed and planned long before this world began. You may have dreamed of a wedding and about marriage, but nothing like this has ever entered your imagination. For this is matrimony to the Eternal Son of God with your immortal soul! Wrap your heart around this: you sitting there are the Bride, and Jesus Christ is the Bridegroom. And the Father of the Bridegroom has His heart so set on this wedding, He sent this invitation to you, to say, the plans are complete. It’s time for the procession to proceed, to pronounce you as the Lamb’s wife. 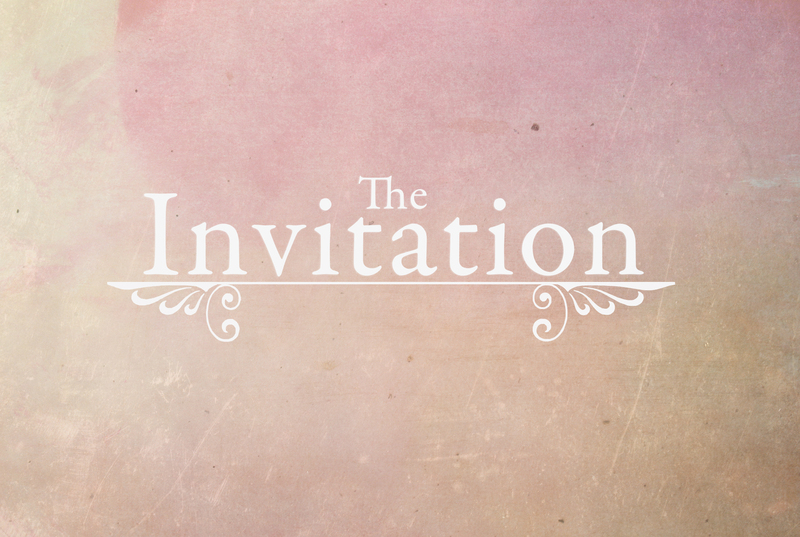 The invitation comes with a response card. What then, is your answer? Please reply from your heart; purely declare yes, or no. This same request was sent out to others, but they all refused to attend. Each one returned their R.S.V.P. along with their regrets. I’m sure to you it may seem unimaginable, but it’s true. They were invited, like you. “Come for all things are now ready” (Luke 14:17). But, individually, one by one began to create their excuse. One invited guest was a successful real estate broker; he returned his response card with regrets, he had to appraise his property. Another guest purchased some live stock and had to go to inspect them. Still another guest had his own wedding celebrations and consequently said, “I cannot attend” (Luke 14:16–20). The list is filled with a variety of reasons: a friend of yours is coming to town, or you have a very important meeting, or you’re planning an emergency… you tear that note up; the lie is much too transparent. You offer instead, “Please accept my sincere apologies, my husband has to be fed.” Perhaps with the invitation old wounds come to mind; hidden hurts, raw with pain, unattended that still remain. No, you will not go, even at the risk of your immortal soul. Now what then, will be your response today? Before you decide, be assured of this…the Bridegroom awaits His entrance to the wedding chamber. All things are ready now, it’s evening time. The lamps are burning, the table is set and the bride is poised radiantly in white. Her Bridegroom is about to descend with a shout of love for His betrothed. Will you delay? The procession is about to begin, and you are the bride and you’re espoused to Him. Make yourself radiant and ready, for the provision has been made by God the Father, through the death and resurrection of His Son. Accept the invitation, put the bridal gown on, and be robed in righteousness. You must get ready now!